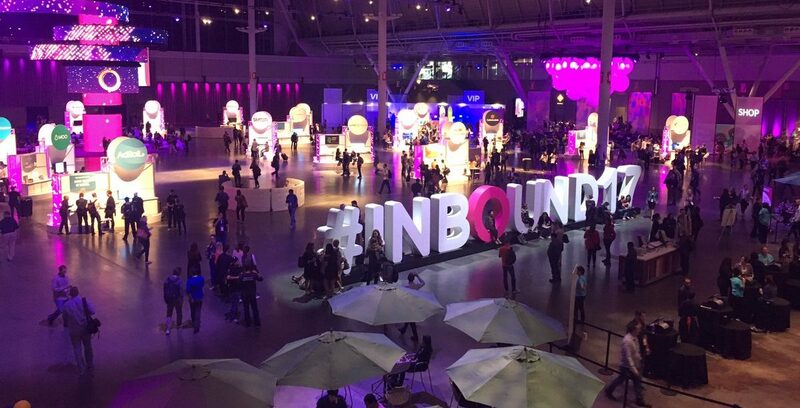 For the typical attendee, an event of the scale of Hubspot’s Inbound takes weeks – if not months – to digest, even for veterans like me who had carefully selected all sessions in advance and knew exactly what information she hoped to walk away with. Four days, 21,000 attendees, 100 countries, 285 sessions, 273 speakers – as much as you try to make the most of all the education, entertainment and networking opportunities you are offered (not to mention the food trucks available at lunch! ), you will always leave with that haunting FOMO feeling. There are, however, three phrases that still echo in my head louder than the rest – Growth; Chatbots & Messaging; and Michelle Obama. These were recurring themes in the sessions I attended (I admit I may have been biased in choosing exactly those) and the most talked about during the breaks. Let’s take each in turn. How to grow a company – the pipeline, the team, the revenue – was definitely the unifying theme of the marketing and sales talks, regardless of the specific tactics that were discussed. The supporting theme that permeated most growth conversations was alignment as the key factor to business success – alignment of goals, alignment of values and course of action, alignment of sales and marketing teams around revenue targets. Ryan Deiss, the CEO of DigitalMarketer.com, decoded his magic formula of making marketing and sales work harmoniously by aligning them around the same goal – the growth of the business. The growth team in Ryan’s company comprises sales, marketing, and customer support – all jointly in charge of driving more revenue and creating value for the customer across the entire journey. Ryan admitted that making these three distinct teams work as one was a painful process, but proved to be the key strategy that led to growing the company. And last, the magic ingredient of scaling a product is customer delight. In 2017, word of mouth weights more than the word of the seller – ensuring the optimal customer experience is not an option, it’s a must. In essence, “It’s more about how you sell than what you sell”. 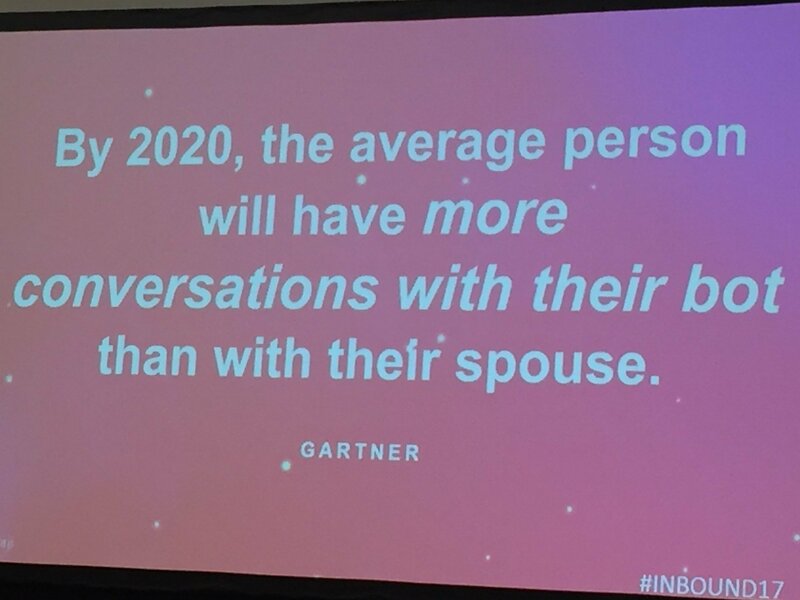 Inbound had a lot to offer to attendees who needed a break from the marketing talk – there were a number of sessions by inspirational speakers from all walks of life and business backgrounds. Just mentioning a few names will give you an idea of what I am talking about: Uber’s Chief Brand Officer Bozoma Saint John, Slack’s co-founder Steward Buttlerfield, best-selling authors Adam Grant and Brene Brown, actor and WWE star John Cena… But there was one speaker that was definitely the most anticipated and the most talked about: Michelle Obama. She was interviewed on stage about the human side of the Obama family and transitioning from the political scene to a private life – and as always, she was just the Michelle Obama we all know: wise, graceful and real. One thought seemed to stick the most with the audience and kept echoing in the media after Inbound – she gave a powerful message to the female audience about the importance of having their own, authentic voice and not letting social conditioning convince them that they can’t speak up. A great tip that also applies to brands – if you want to break through the media noise today, speak with a unique, authentic voice. Easier said than done – right, fellow marketers? Hungry for more Inbound? Check out the event’s content library – some of the spotlight videos are already available for you to indulge in.